Tip: If the words "direct object pronoun" strike horror and panic into your heart, scroll to the cartoon video in the examples explaining them. They're actually pretty easy to figure out. Notice that you use the pronouns "le/la/l'/les", which agree in gender and number with the person or thing they replace. Remember that in French, things have gender. Note also that you put le, la, l', les before the verb! N.B. : l' is used for feminine or masculine when in front of a vowel or a silent h.
Bonjour, Is it Remercier à qqn or Remercier qqn? "Qui l'a invité" is correct in the answers. isnt it INVITER À qn?? Isn't it an INDIRECT pronoun?? Not according to the French-English Dictionary on the Internet, which is usually pretty darned good! It is inviter quelqu'un à quelque chose. -- To invite someone (direct object) to something (indirect object). Anne? Je l'ai invitée à la fête. -- Anne? I invited her tonthe party. I believe your confusion may lie in the understanding of the terms transitve/intransitive in relation to verbs. A transitive verb takes a direct object, i.e. there is no preposition between the verb and its object, so in this case 'I invite Anne'. The dictionary entry goes on the mention 'à' but this is subsequent to the direct object, e.g.I invite Anne to the party. Intransitive verbs either take no object (e.g. I exist) or they take an indirect object, i.e. an object coupled to the verb by a preposition (e.g. I sit on the floor). The key in dictionary entries is whether the verb is marked transitive (vt) or intransitive (vi) or both! Thanks, Tom but how does this theory fit with DIRE (Verb TRANSITIVE) and an example like je LUI ai dit que c'était trop tard I told him (that) it was too late????? This can be explained by using slightly different terminology. Verbs can be 1. Transitive direct (take a direct object) 2. Transitive indirect (take an indirect object) 3. Intransitive (take no object). This terminology is probably clearer than that used in my previous reply. Transitive direct - Je dis la vérité; Transitive Indirect - J'ai dit à Jean: "Ferme la porte"
Tahnks for your response, again. I do "get it", but wonder if there is a list of which verbs are which??? No list that I know of. Many verbs can belong to more than one group. So it's best to learn this with every new verb you acquire. Remember, learning a language is a marathon, not a sprint. Pace yourself and find ways to continue to enjoy the process. It all falls into place eventually. 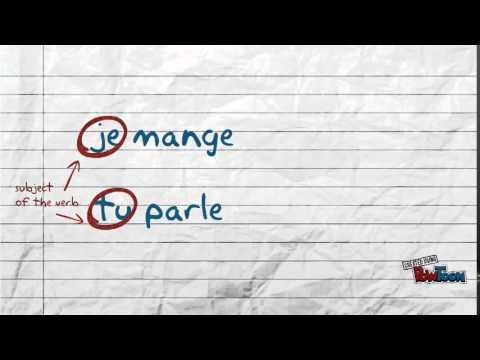 Isn't it understood structure "chercher à," thus an indirect object would be used? I put "Il lui cherche" on a kwizz and got it wrong. the verb "chercher" takes a direct object and means "to look for". Je cherche mes clés. -- I am looking for my keys. There is a version of chercher which uses an indirect object "chercher à" and it means "to have the intention". Je cherche à faire mes devoirs. -- I intend to do my homework. But this is more of a special case. When chercher is used in the sense of "to look for", it uses a direct object. Marie "EN" a déjà tous achetés. Since the article here is "des" and not "les"... We just know there are "some" presents to buy, not any specific ones. Marie en a déjà tous achetés. Versus: Marie les a déjà tous achetés. Marie en a déjà achetés. -- Marie already bought all of them. Marie les a déjà achetés. -- Marie bought them all. Il écrit souvant à ses parents? Non,il ne———(ne jamais écrire). Il écrit souvent à ses parents? - Non, il ne leur écrit jamais. Tu as vu mes amis? - Oui, je les ai vu. Tu les as vus. or Tu les as vues. Hi Khush - can you give an example of the sort of sentence with two verbs you mean? There are lots of ways multiple verbs can appear in a sentence, so I'm not clear what you're asking. why " j'achète un ppantalon." become "je l'achète" ? It doesn't; j'achète un pantalon should become j'en achète. Could you please give me the link where you saw this? Actually it's a bit more complicated! J'achète un pantalon. J'en achète un. J'ai acheté un pantalon. Je l'adore ! J'achète des pantalons. J'en achète. You can only use en on its own when talking about a vague or uncountable quantity (some). You use le, la, l', or les when replacing a direct object (a noun with no preposition in front). You need en when the noun is preceded by de. J'ai vu le chat = Je l'ai vu. J'ai parlé du chat = J'en ai parlé.